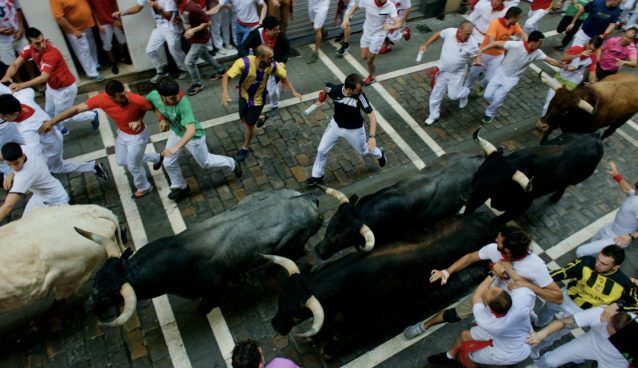 Seven taken to hospital centers, all of them for traumas. 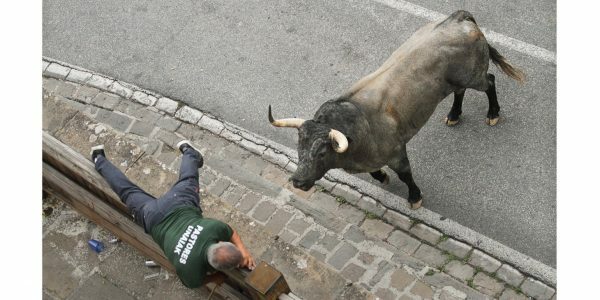 P.P., male, 27-years-old, France, mild traumas. 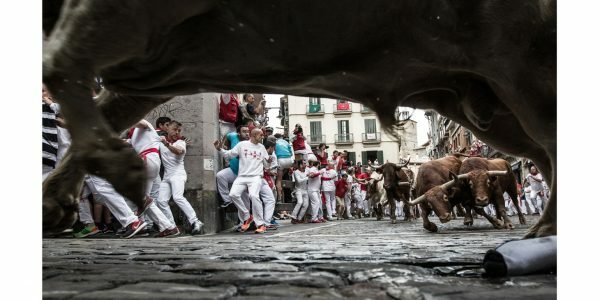 Even though it was a clean run for the bulls, many fell due to the fact that the runners were packed in like sardines. 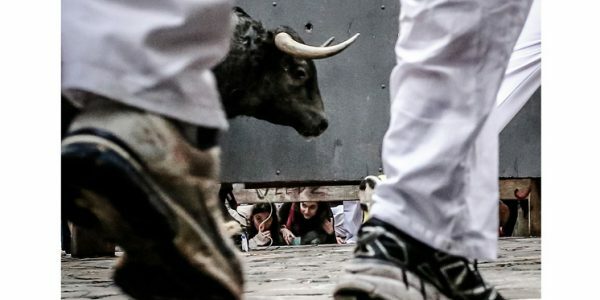 As soon as the rocket went off, the Miuras left the corral behind the oxen. 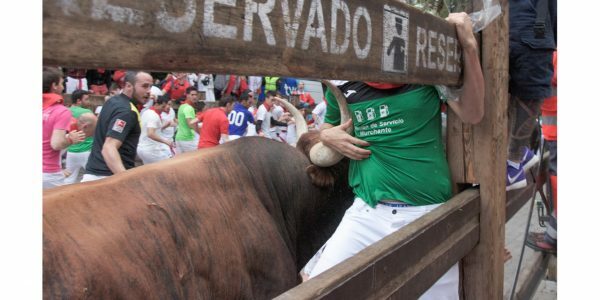 One ox leaned to one side, and the bull nearest him fell into one of the runners, waiting in Santo Domingo. 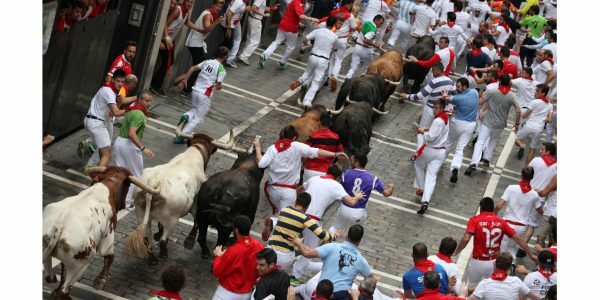 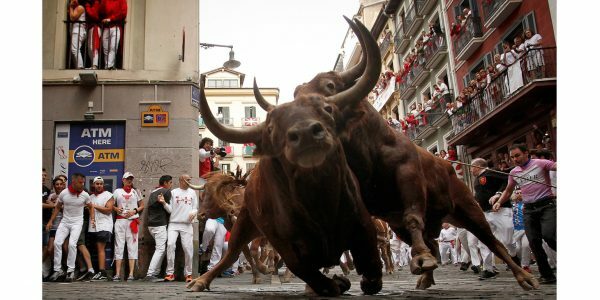 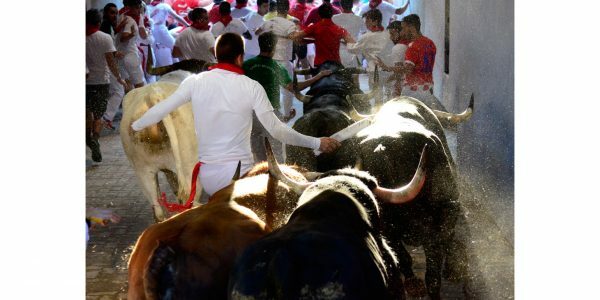 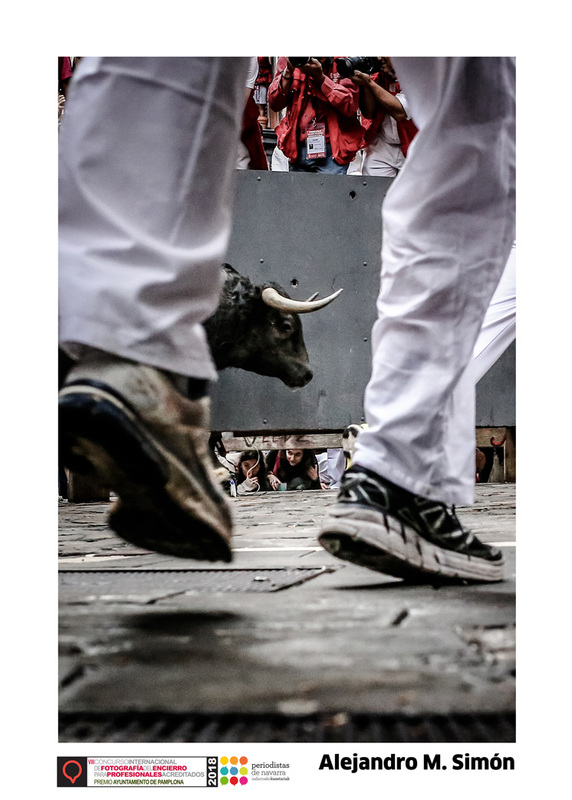 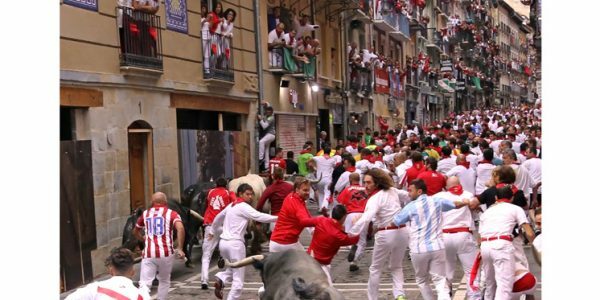 For the first 600 meters, the bulls kept together in a straight line in the middle of the street, without paying much attention to the fear that surrounded them. 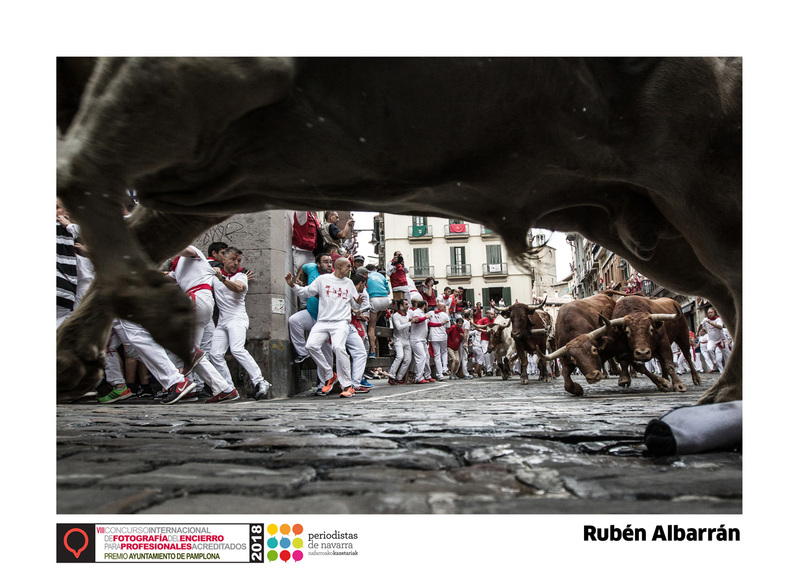 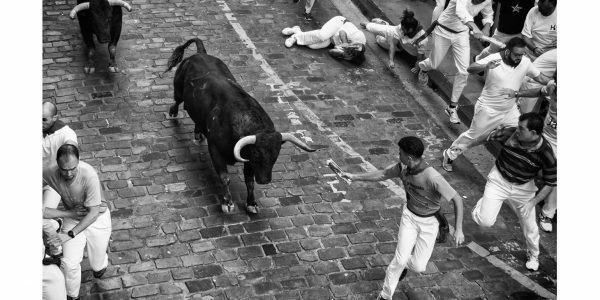 The moment of most tension came when two bulls crashed into two runners. 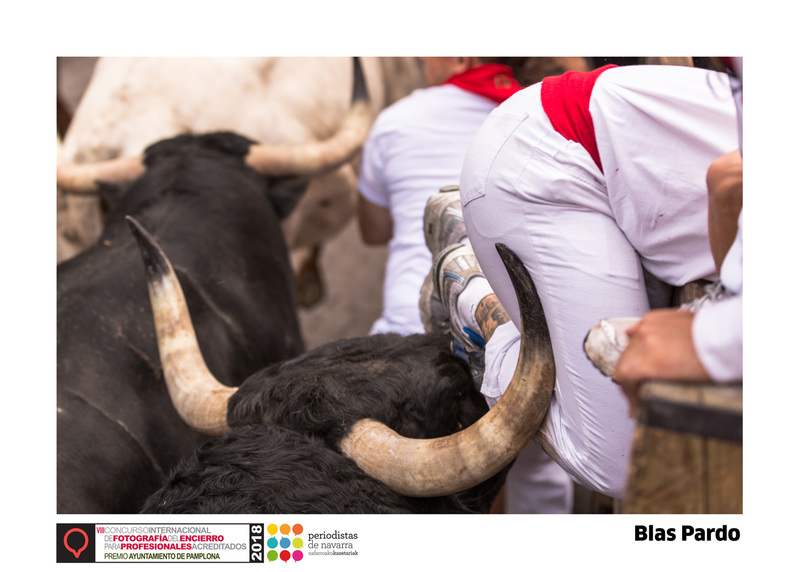 In spite of the anti-slide liquid that is put on the Mercaderes Curve, the Miuras are so very fast that they usually slide and fall on the left side of the curve. 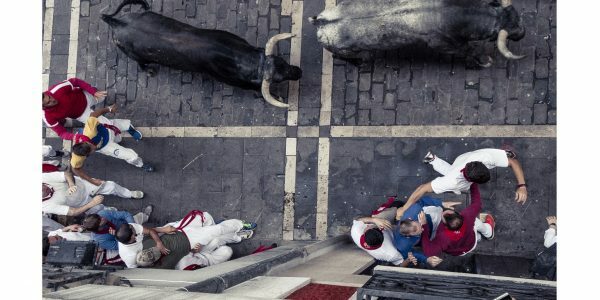 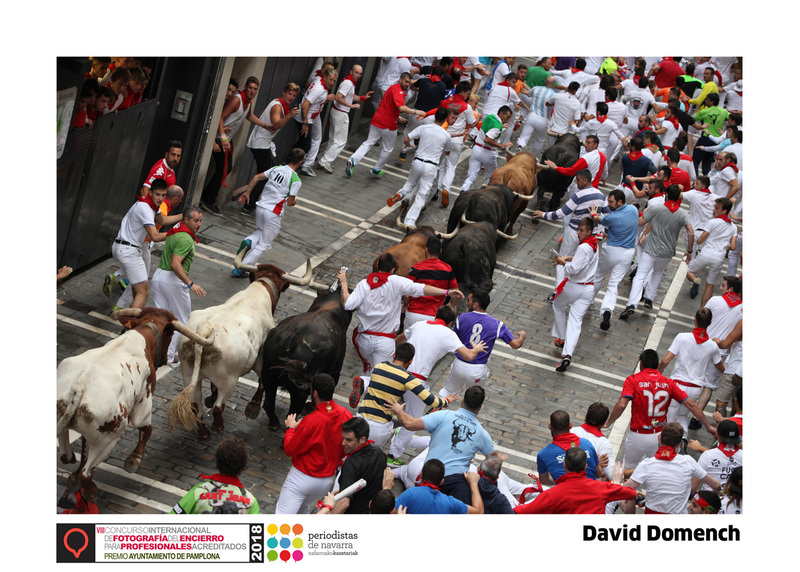 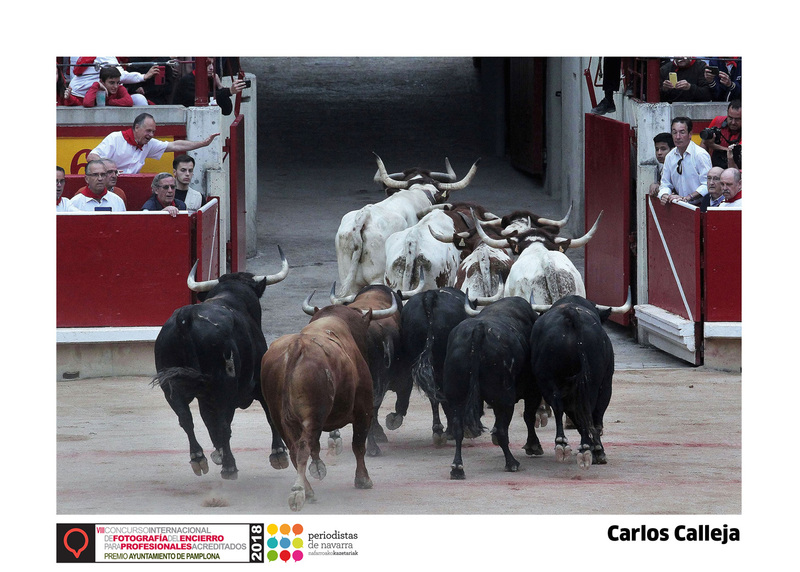 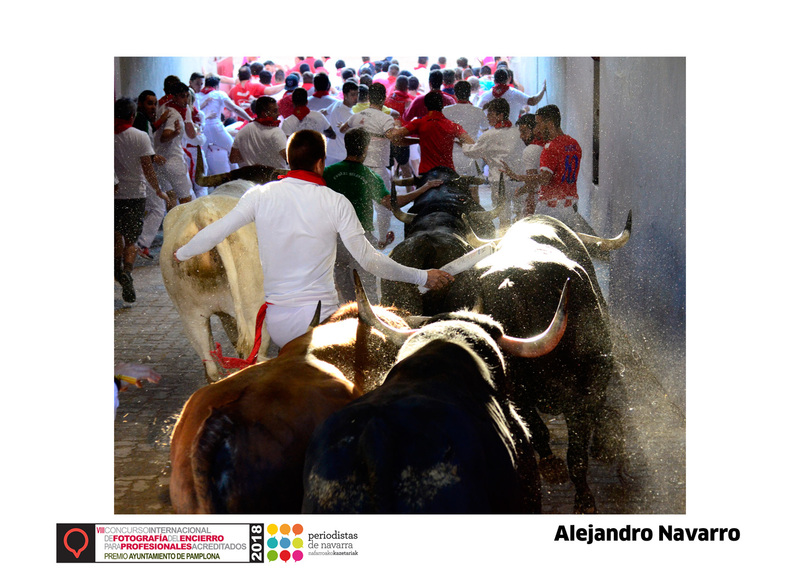 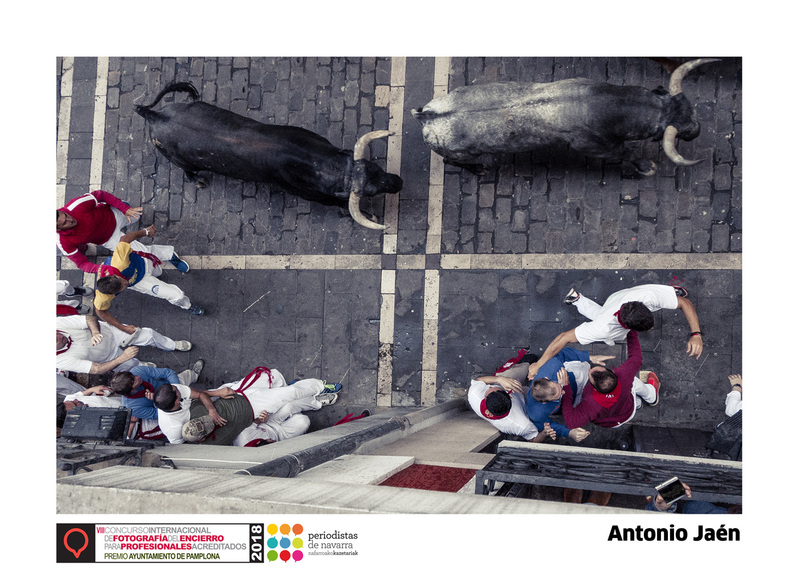 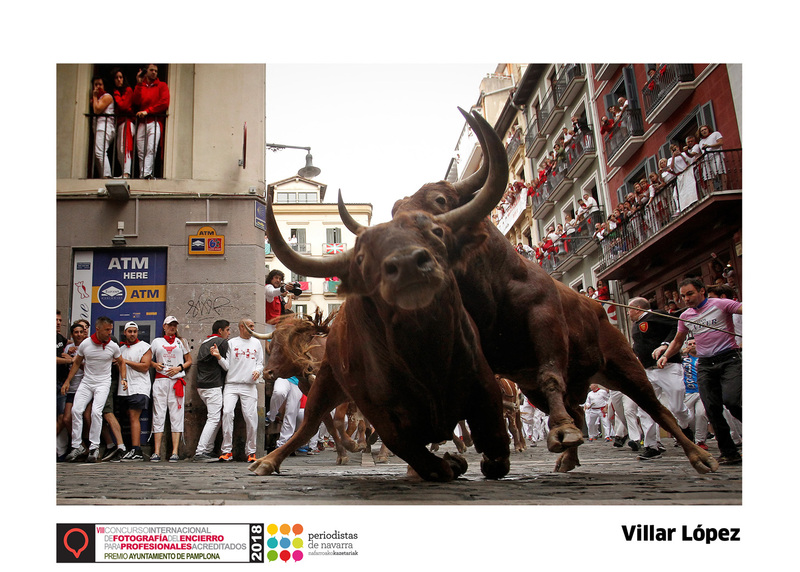 In Telefónica right before the entrance to the ring, the bulls came face to face with several runners, who were resting on the right side of the street. 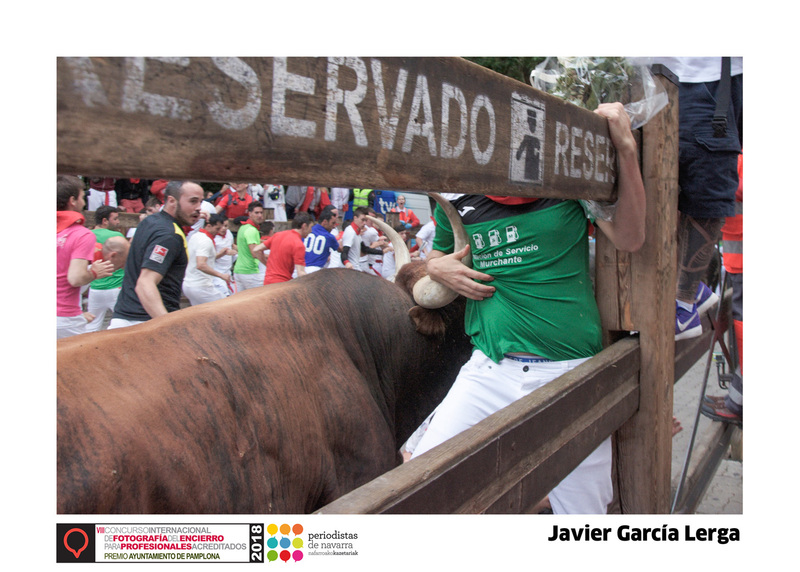 At the end of Estafeta, there was intense action. 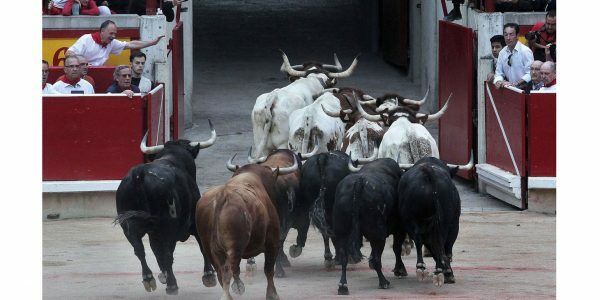 One runner was dragged some 80 meters to the middle of the “Callejon” or entrance to the bullring. 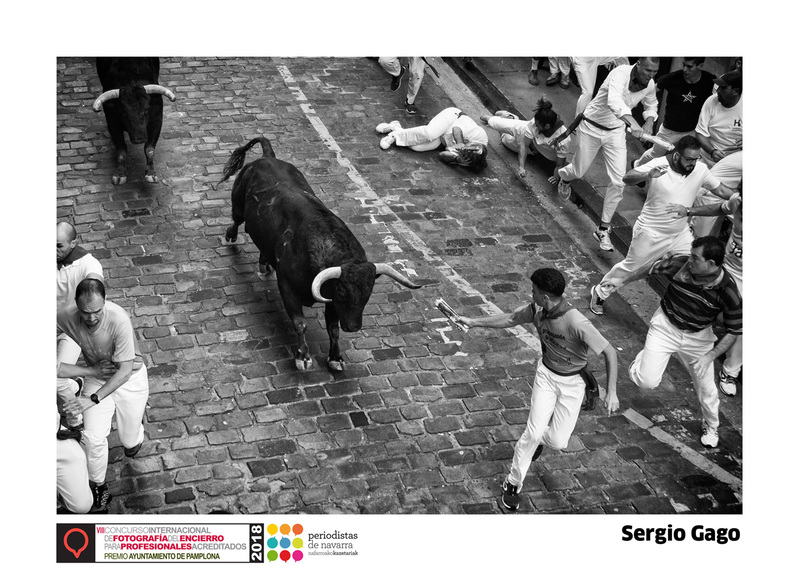 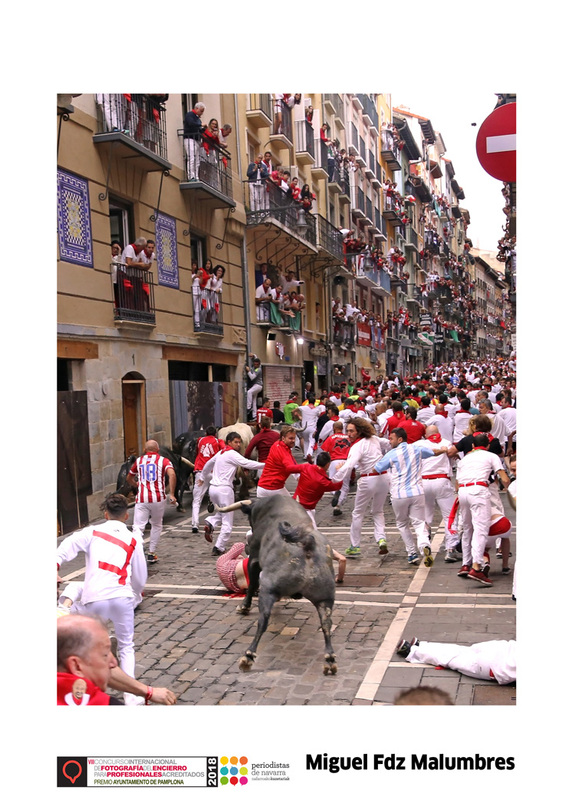 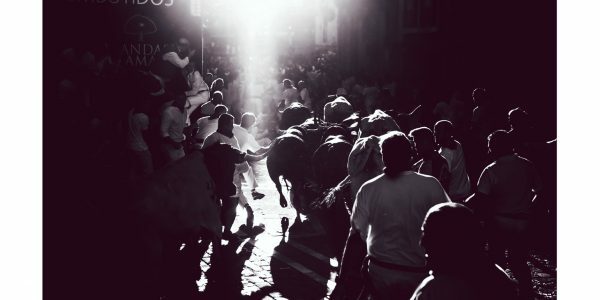 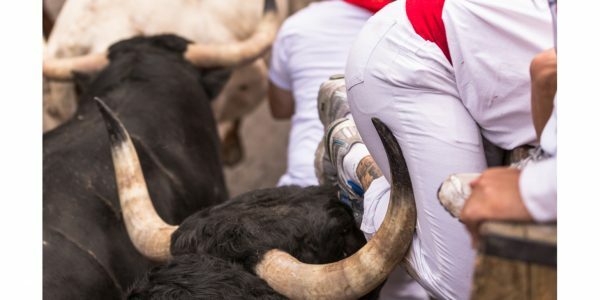 Apparently the Miura decided to dedicate his encierro to San Fermín, catching the runner by his red scarf that was tied so tightly that the Miura might have carried the “mozo” with him into the corrals. 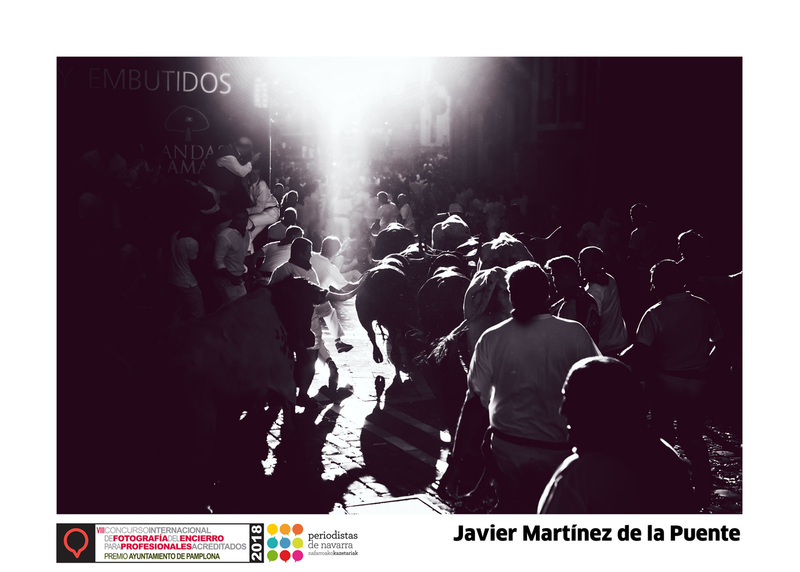 The ranch from Sevilla that produces the Miuras, that have never been crossed, debuted in Pamplona in 1899 and have fought in Pamplonaś ring 68 times, winning many prizes. 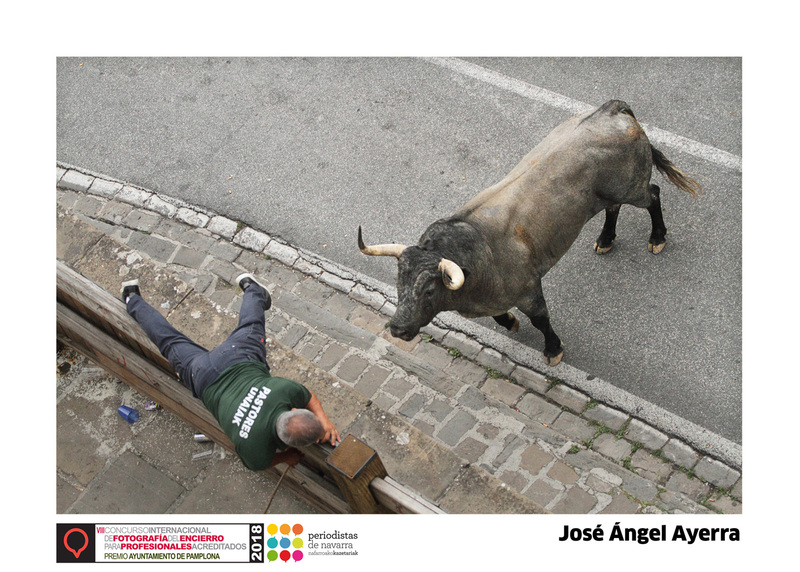 The last bullfight features Rafaelillo from Murcia who was carried out of the ring on his fans shoulders with Miura bulls; Rubén Pinar, wo earned an ear with the Miuras of 2017 and Pepe Moral, from Sevilla, who cut an ear last year in the bullfight of José Escolar.